Our smaller than smallest regular trowel. (Does that make sense?) Check it out. Do you have children who like to garden or know someone with very small hands? 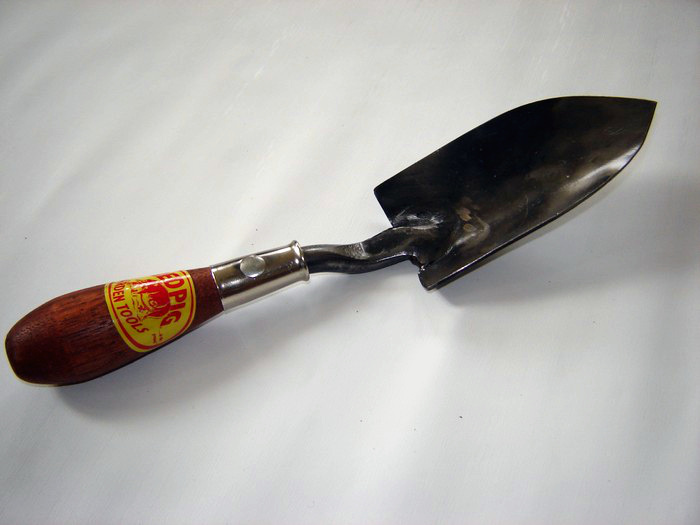 Then this is the trowel they will love. 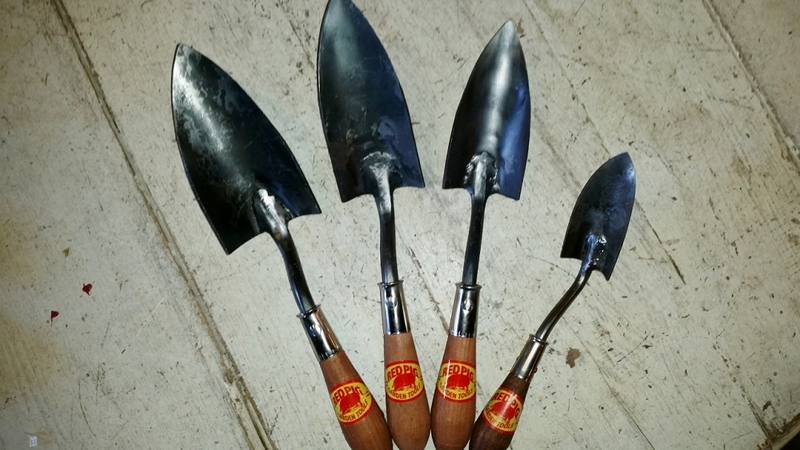 It's made the same way as our larger trowels with quality material and workmanship. The head measures 2 inches at the widest part by 4 1/2 inches long. The overall length is about 11 inches. We use the same hickory handle, only the next size down. Having a tool that doesn't fall apart or bend for children will hold their interest much longer than one that collapses the first time they use it. Our trowels are flat to start with and then cupped. The measurement is from the backside of the trowel, not across the front.